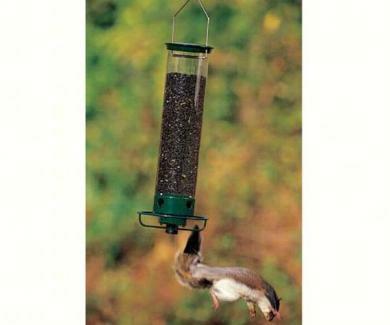 A weight sensitive bird feeders allows birds to feed at the feeder while a squirrels weight closes access to the seed. 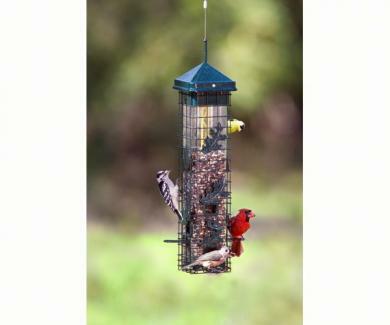 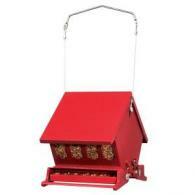 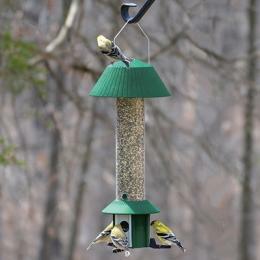 Most Weight sensitive bird feeders are adjustable to allow certain bird to feed. 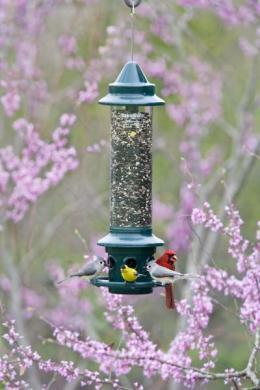 Less food is consumed by squirrels and more seed is available to your favorite backyard birds.